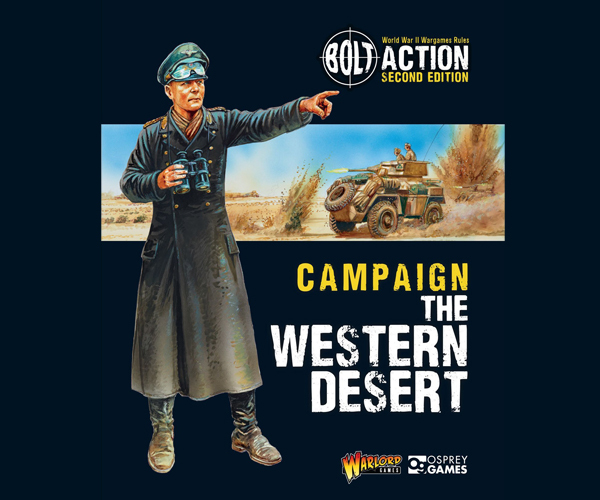 This Bolt Action campaign book will focus on the conflict in the area most commonly referred to as the Western Desert – a campaign theatre reaching from the Libyan city of Tripoli to Cairo, and the Egyptian Nile valley, a distance of some 1300 miles, a featuring some of the most hostile terrains on Earth. It covers a period of time from September 1940 when Mussolini’s Italian Army invaded British-held Egypt to the final retreat of Rommel’s Afrika Korps from Egypt during October 1942. During that period the conflict witnessed much hard fighting resulting in spectacular victories and the capture of territory, equipment and prisoners for both sides whilst also subjecting them to a series of demoralising retreats where final and irrevocable defeat seemed assured.